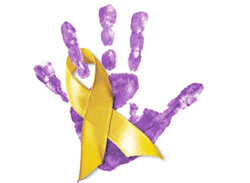 Neuroblastoma is a purely «pediatric» tumor, adults, it is not threatened. This malignant tumor originates somewhere at the level of embryogenesis, developing from neuroblasts – embryonic cells of the sympathetic nervous system, which has been appointed to become full-fledged neurons. However, due to various circumstances, the maturation of neuroblasts is disturbed, they remain in an embryonic state, but it does not lose the ability to grow and divide. The presence in nervous tissue of a newborn baby foci of neuroblasts that have not completed their maturation, in many cases have a neuroblastoma. Neuroblastoma in children – most common malignant tumor, it is up to 15% of all registered tumors of the neonatal period and early childhood. Mostly the neoplasia is detected before 5 years of age, although there are known cases of cancer at 11 or even 15 years. The growth and development of the baby the chance to meet this type of cancer process decreases every year. Meanwhile, not all small clusters of immature cells found in young children to 3 months of life, doomed to become a tumor. The chances of avoiding the development of oncological process, because some pockets of neuroblasts without any interventions begin to spontaneously Mature and become nerve cells. Perhaps, the share of neuroblastoma among other pathologies of newborns is much higher than indicated by statistics, because this kind of tumor may be asymptomatic, then regress, and no one will know it ever took place if there were no other reasons for an in-depth examination of the baby. 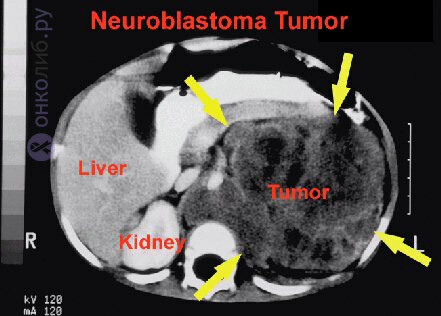 This is one, but not the only, feature of neuroblastoma. It may differ a special penchant for uncontrollable aggression to metastasize to places that chooses itself. 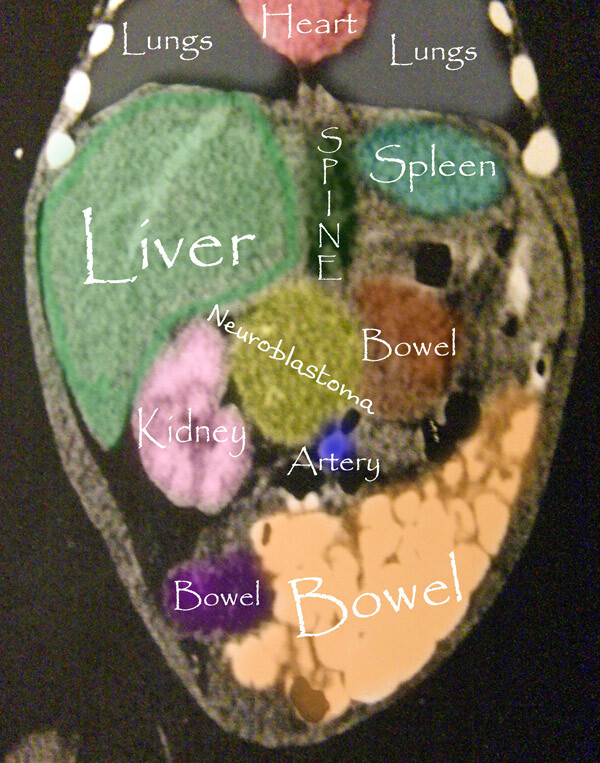 Most often from metastases suffer bone system, the lymphatic and bone marrow. Meanwhile, though rarely, metastases of neuroblastoma found in the liver and skin. The assumption that neuroblastoma, localized somewhere in the abdominal cavity, «interested in» the brain and «sows evil» there, refers to a category of exceptions. Sometimes foci of neuroblasts grow, divide and form a tumor, which metastasizes, and then shows ability to stop growth, to regress (regardless of their amount and presence of metastases) and disappear as if it never happened. Other malignant tumors do not exactly know how. Neoplasm, at first attributed to undifferentiated tumors, suddenly can take and show a tendency to differentiate, if at all (which happens rarely) start to Mature and go in a benign process — ganglioneuroma, which, in essence, is a Mature neuroblastoma. Causes of nessrine germ cells and development, in their place clusters of tumor is still not precisely defined. It is expected that the lion’s share (80%) of all neuroblastoma generally occurs for no apparent reason and only a small part is a hereditary autosomal dominant character. The likelihood of tumor development from the source of neuroblasts increases with the age of the child. In addition, a number of scientists proved that the risk of having neuroblastoma is higher in children with congenital malformations and immunodeficiency. Stage I – single small tumor, its size does not exceed 5 cm, it does not apply to the lymph nodes and, moreover, does not give metastases. Stage II tumor (still single) grows up and can reach 10 cm (but no more), but there was no indication of lymph nodes and metastatic process. tumor more than 10 cm, however, signs of lymph node and the presence of metastases in distant organs are absent. article IVB – the tumor is multiple, simultaneously growing. The status of the lymph nodes and occurrence of distant metastases can not be assessed. 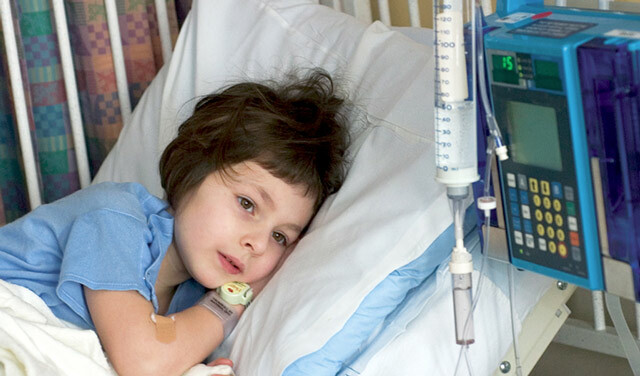 Somewhat out of the General characteristics of stage 4 tumors of neurogenic origin neuroblastoma stage IVS, inherent biological characteristics, are not peculiar to the same diseases, she has a good prognosis and adequate treatment provides a significant survival rate. Relapsed neuroblastoma in 1 and 2 stages when successful treatment is very rare. To a relapsing course are more likely tumor grade 3, but still neuroblastoma in comparison with other tumors of the wins. Unfortunately, stage 4 relapse not only possible, but highly probable, which further affects the prognosis, which is not very encouraging. How does this «special» tumor? At the initial stage of the development process of specific symptoms inherent in tumors, is not marked, therefore, neuroblastoma mistaken for other childhood diseases. Symptoms of the disease depend on the localization of the primary tumor, areas of metastasis, and the level of vasoactive substances (e.g., catecholamines) which produces a tumor. Most often the primary site of the tumor finds a place in the retroperitoneal space, namely, in the adrenal glands. In more rare cases it is located on the neck or in the mediastinum. The tumor from the tissue of neurogenic origin, arising in the retroperitoneal space, usually grows rapidly and in a short time penetrates into the canal of the spinal cord, forming dense as stone formation, which can be detected by palpation. 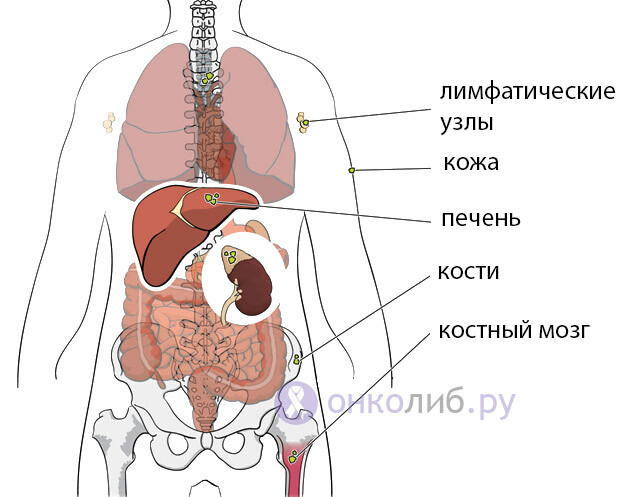 In other cases, the neoplasm in the retroperitoneal space «leaks» through the hole of the diaphragm from the chest and, in an effort to expand their territory, begins to shift the «neighbors». 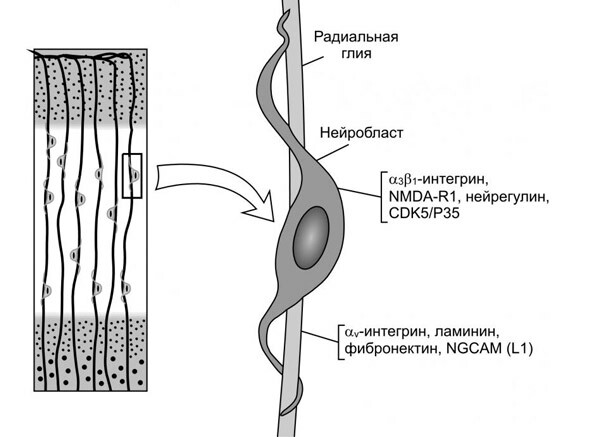 The penetration of neoplastic process in the channel of the spinal cord may result in problems in the lower extremities (weakness, numbness, paralysis) disorder and the functional abilities of the excretory system and the gastrointestinal tract. By changing the shape of the chest. The drooping eyelid covering the protruding unnaturally shifted to the eyeball. where do most metastatic neuroblastoma? Suffering resemble bone marrow manifestations of leukemia: hemorrhage, bleeding, change in the blood (deficit formed elements, anemia), fever, decreased immunity. Produced by tumor catecholamines and vasoactive peptides that cause metabolic disorders that trigger bouts of excessive sweating of the baby, pale skin, bowel disorder (diarrhea), signs of intracranial hypertension (anxiety, crowding of the head, fluctuations in body temperature) that may be present, regardless of the location of the neoplasia. Determination of catecholamines, their precursor and metabolites in the urine of the child. Increased excretion produced by the tumor of substances in excessive amounts will be reflected in the analysis. Excessive secretion into the blood glycolytic enzyme of neurons, called neurono-specific enolases (NSE) may indicate the development of tumor process and, by the way, not only neuroblastoma. The increase of NSE level is characteristic of other tumours: lymphoma, nephroblastoma, Ewing’s sarcoma, therefore, this tumor marker can hardly be suitable for the differential diagnosis, but it is well established in the prognostic plan: the lower the level of the marker, the more favorable the prognosis. For example, if article IVS neuroblastoma non-specific enolase is always less than for the same tumor stage 4 just. An important tumor marker of neuroblastoma consider ferritin, which is actively produced, but the iron is not in use (anemia), and enters the blood. The change in the number of this marker observed mainly in stage 3-4 of the disease, while in the initial stages (1-2 stages) and its level slightly increased, or even remains in the normal range. During treatment, the indicator tends to decrease, and during remission and all back to normal. The high level of membrane-associated glycolipids – gangliosides, can be detected in the serum of most patients with neuroblastoma, with it, a rapidly growing neoplasia increases 50 times or more, but active therapy contributes to a significant drop in the content of the marker, relapse, on the contrary, it markedly increases. CT, MRI and other methods. Suspected distant metastasis poses the problem of immediate and careful study not only bone marrow but the bones of the skeleton. 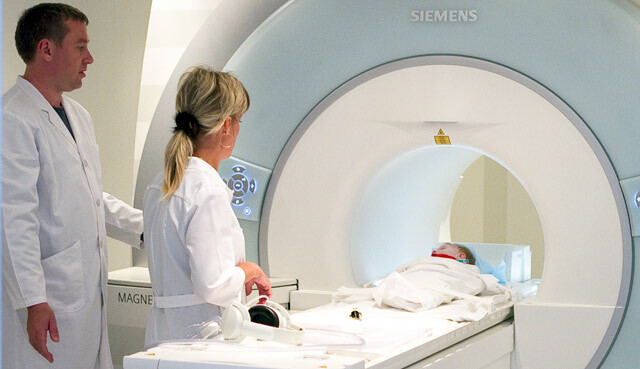 For this purpose use methods such as R-graphy, radionuclide scintigraphy, drepano and aspiration biopsy, CT and MRI. …And then how to treat? Chemotherapy represents the introduction of anticancer drugs under the special scheme. Especially the efficacy of chemotherapy in combination with bone marrow transplantation. Surgical treatment of providing a radical removal of the tumor. At present, the radical operation is often chemotherapy, which can cope not only with the tumor (slow growing), but also its metastases (lead them to the regression). Radiation therapy, which, however, modern Oncology uses less, replacing surgery, after irradiation for its part may be insecure and carry a certain risk to the life and health of the child (may damage the rays of distant organs). Radiation therapy is prescribed strictly according to the indications: after non-radical surgical removal, the low efficiency of other methods of chemotherapy, particularly in inoperable tumor, which for whatever reason does not respond to chemotherapeutic effects. Of course, the success of treatment depends on the stage of the disease. The use of a radical method in the beginning of tumor development (1 article) gives hope for a complete deliverance from disease. However, this does not absolve the kid and his parents from scheduled doctor visits and conduct the necessary research with the aim of preventing relapse, which, though extremely rare, but it happens. The probability of full recovery is not ruled out in phase II, provided successful surgery (article 2A) with advanced chemotherapy treatment (article 2B). Effect on the tumor, which reached the third and, especially, stage 4, difficult. In these cases, more hope rests on the status of the clinic, its geographical location and equipment availability, as well as the qualification and experience of specialists. As for the future stage 4 neuroblastoma, the treatment preference is given chemotherapy prior to surgery (primary tumor) and after it. And then – as God will send. The most exciting question: What is the prognosis and how to prevent the disease? To forecast is very important the age of the child. Parents infant toddler (up to years) can always count on a favorable course of the disease. In other cases, a time of relative prosperity depends on the location of the lesion and its stage. Found on the first or IVS stage of the tumor gives more hope than the other extent: 90% of children live more than 5 years, further indicators are reduced: with 2-3 stage a chance to live five years have 70-80% of young patients, stage 4 releases five-year term 40-70% of children (60% are children under one year of age). With regret it should be noted that in medical institution the kids, having already 3 or even 4 stage of the disease. Any specific recommendations and advice on the prevention of the development of this tumor in advance to give it is impossible, because the causes of its occurrence are still unknown, with the exception of family predisposition. But here it is clear, if close relatives were diagnosed with this pathology, pregnancy planning is very desirable to involve genetics, perhaps it will help to avoid tears and excitement associated with the birth of a child.